The Louisiana Old State Capitol is a place full of rich history and beauty. This old capitol building was built in the early 1900s and has been overlooking the Mississippi River ever since. It’s a great place to start a historical trip around town and learn more about some of the legislative past of Louisiana. You can also admire the fine art that is around and a part of the Old State Capitol as well. You can’t be in the Baton Rouge area and skip out on an LSU tour! It’s a great way to grow some school spirit and learn more about what goes on at the campus. You’ll be able to visit a small museum like the Foster Gallery, Glassell Gallery, and the Student Union Art Gallery. If you decide to get a personal tour, you’ll be able to learn about the history behind the school and get some inside information on educational programs and other academic areas. LSU also hosts events for the community to join in on in case you’re looking for some family-friendly fun. 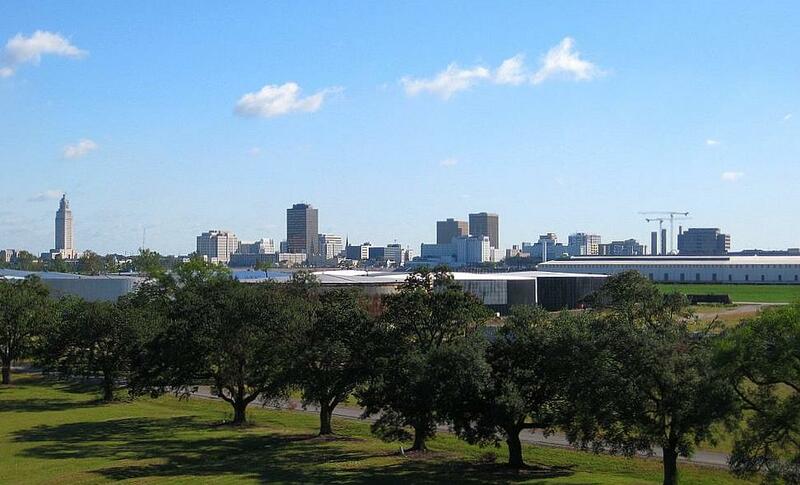 The LSU Museum of Art is one of the most popular tourist attractions in the Baton Rouge area. It is located on the fifth floor of the Shaw Center for the Art on the LSU Campus. This museum is full of many collections and educational exhibits that help show off the rich history behind the LSU campus and modern-day Louisiana. The museum has some seasonal exhibitions like the current Angela Gregory that come and go through the LSU system. These collections may or may not be seen again at the campus, so take full advantage! The LSU Tigers always bring the best out of the Baton Rouge community. The Tiger stadium is located on the LSU campus and is known as “Death Valley” for visiting teams. The LSU stadium is able to hold a little over 100,000 fans, making it one of the largest stadiums in the world. You can always expect to see a show from the LSU cheer squad and band. If anyone knows how to get the crowd going it’s them, and they always make a grand entrance and have some of the best musicians in the state. You’ll also be able to see them line up and create letters and shapes dedicated to the institution. Take a trip down to the Baton Rouge zoo you’re looking to take your family somewhere different. They home animals from across the globe in hope of preserving life and informing the public about the importance of wildlife. You’ll be able to see popular species like tigers, lemurs, pythons, and other famous animals. The zoo also features great animal specialists that are prepared to teach you a thing or two about some species. There are also playgrounds and exhibitions for children to enjoy around the facility. Another must-do thing in Baton Rouge is visiting the Louisiana State Capitol Building. In contrast to the Old Louisiana State Capitol building, the new one has a more modern look standing about 34 stories high. The building looks like a miniature white version of the empire state building in Louisiana. It is also the tallest building in the city, making it an easy to notice attraction. Don’t forget to take a camera and take some fun pictures with this monstrous building. This large nature center features a large exhibit building and over 100 acres of land to explore. Visitors are able to explore through the main trails and paths to witness the Louisiana habitats. Amongst the habitats, you will find plenty of forest and swamp areas where you can hopefully spot deer, foxes, rare otters, and other Louisiana creatures lurking about. Bluebonnet Swamp Nature Center is also a great place to go birdwatching and enjoy spotting the diverse bird species on the land. Going back to the exhibit building, there are plenty of rock formations, animal and environment exhibits that children love to explore. Amongst the things to do around the LSU campus is visiting the Shaw Center for the Arts. It is home to the previously mentioned LSU Museum of Art as well as the Manship Theater. This building is one of the most culture-rich places in the city with a beautiful view. It also homes classrooms, a park, other theaters, and restaurants, giving it plenty of purpose for the LSU community. This spot is also popular for being one of the most beautiful wedding venues around the city. Mike the Tiger is the official mascot for LSU. Mike’s habitat is located on campus where he has plenty of space, a waterfall, a stream, and plants that help give Mike an enjoyable home. It is definitely a scene that ignites a lot of curiosity and tourism for the Louisiana State University mascot. Visiting Mike is completely free but make sure you stop by from 8 a.m. to 8 p.m.. That’s the time Mike is most active throughout the day. The Louisiana Art and Science Museum features great art galleries, interesting science galleries, and a must-see planetarium. The museum also includes seasonal exhibits from across the globe. One of the most popular exhibits to date is the interesting mummy from Ancient Egypt. It gives you an opportunity to look at some ancient artifacts from the time and seeing how well things were crafted back then. The Irene W. Pennington Planetarium isn’t just used for star shows, it also serves as a venue for watching films and live music shows. Who can forget about eating out at a great restaurant? The least you can do is reward yourself after a long day of doing things around Baton Rouge. This city has plenty of fine and affordable restaurants to choose from. You can enjoy a fine meal at the popular Parrain’s Seafood Restaurant, or even share a delicious pizza at LIT Pizza. Whatever you’re in the mood for, Baton Rouge has got you covered. You don’t have to worry too much about it because this city is full of great flavors and a variety of styles to fill you up. It’s never too late to have some fun around Baton Rouge. If you’re looking for something fun to do tonight, you can definitely find a great grub spot or bar to hang out with. There are also plenty of scenes around the city that provide some good live music in case you’re looking to sit back and relax.